Step Away from the McCormick! Make Your Own Gravy! At work, my boss calls me the gravy-king. We serve biscuits and gravy on the weekends and when we’re busy enough, it usually sells out. Gravy adds comfort to a dish. More than comfort, it adds big flavor. I was running low on ideas for the blog when a friend asked on a “gravy tutorial” and thought it to be absolutely brilliant. I don’t, by any means, know all there is to know about gravy, but I can thrown down a mean B&G (If you know what I’m sayin’). Let’s chat about two that I’m pretty sure you’ll dig. Goes great on these babies! Heat your pan on medium. Throw in your sausage and render out some of that fat. Toss in your butter and cook the sausage till it’s getting a bit crispy and browns nicely. Once you see that most of the fat has rendered out, sprinkle and stir in your flour. Cook for 3-4 minutes so the flour can lose some of its “floury” taste. The rest, do with it as you will. A little gravy on a chicken breast or over rice or potatoes is one of my favorite things. If you have chicken stock laying around the house, perfect! If not, it’s really easy to make a bit for gravy. This is how I like to make gravy for poultry. Heat your stock pot with your oil. Season the wings, etc. with salt and pepper. Brown the wings, necks and/or bones. Don’t be afraid to let the skin stick to the bottom and get all brown and lovely. This stuff is called “fond” and you’ll be scraping this stuff up when you throw in your white wine. Fond = flavor. Let your wine reduce by half and fill your pot with water, veggies, and seasoning. Cook this for about 45 minutes. Strain veggies, bones and seasoning. Return to heat and continue to reduce your stock for another 10 minutes or so. Taste and season to your liking. Heat the butter in a separate pan till it starts to sizzle. Sprinkle in your flour while whisking to avoid clumps. Cook butter and flour (roux) for about 5 minutes till the foam subsides a bit. Add 2-3 cups of your stock to the roux and stir to incorporate. Let it reduce and thicken to the consistency of your liking. If your gravy is looking too thin, you can always add a little “cornstarch/water” mix and it’ll thicken up pretty quickly. I tend to draw heavier on the flour in these recipes so it thickens the way I need it to. Good luck and as always, let me know if you have any questions! that gravy powder is nothing but salt — pure poison. I don’t know how anybody could eat it. Chicken and gravy IS one of life’s great pleasures, even way up north we think so. Thanks for the easy, clear recipes! wonderfully written recipes. 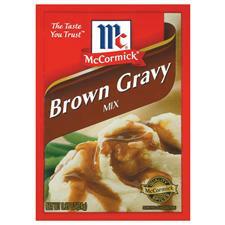 I’m the woman people invite to supper and then say…ummm, do you think you could make gravy when you get here? Hmm…that’s odd. Maybe try adding more liquid next time around.